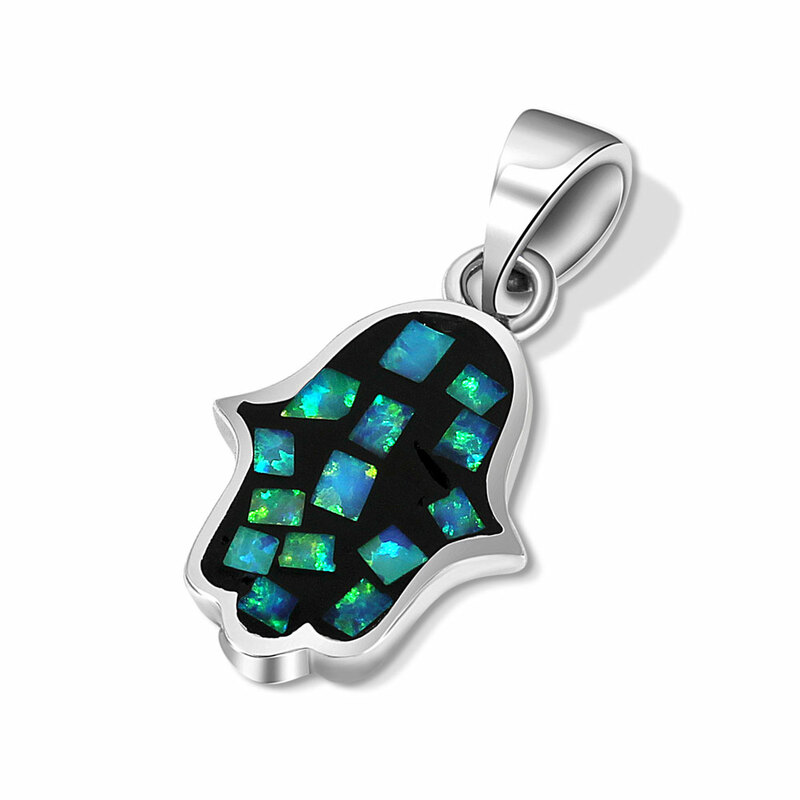 Sterling silver Hamsa Pendant with a unique inlay that looks like fused glass chips. To add a chain to this pendant select from the chains options. Pendant measures 3/4'' excluding the loop.